You said "I do" and now you said "I don't", time to sell your engagement ring! Although the thought of selling your old engagement ring might sound challenging, we can help make it an easy process. 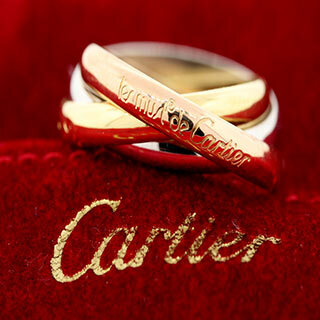 We buy yellow gold, white gold, and platinum engagement rings including diamond engagement rings. The gold or platinum in your old engagement ring and wedding band is worth money, and the diamonds can be worth a big money. Please call us today with whatever information you have about your engagement ring and we will work out a price quote. There are so many different types of engagement rings, and we buy them all. Most engagement rings feature a larger center diamond, and sometimes small side stones. Rings with just one diamond are called solitaires, you can see a couple examples of different variations in the photo to the left. The larger and better quality the center stone, the bigger and better the price will be! There is no chart for current diamond prices, but you can always check the current price of gold. Even though there is not a chart for the price of engagement rings, dealers do consult a monthly price list called Rapaport Diamond Report. 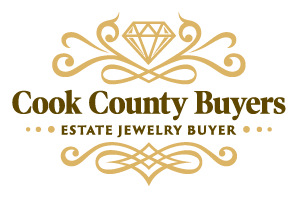 Cook County Buyers will always check the current "rap sheet" to determine a fair value for your engagement ring. The price of gold will determine the price per gram for your ring, and the "rap sheet" will determine the value of the diamonds in your engagement ring. Cook County Buyers receives calls daily with individuals wanting to sell their engagement rings. We are very interested in purchasing your engagement ring if the center diamond is over 1/2 carat and the purchase price was $2000 or more. Smaller engagement rings can still have value, especially if they are a brand such as Tiffany & Co. or Cartier. Call to discuss your engagement ring, and meet Mike at his Skokie office or another location of your choosing.